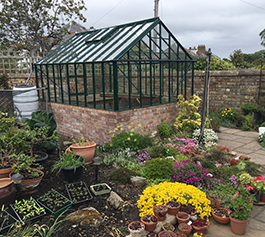 The combination of a brick base and aluminium or wooden framed greenhouse can create a fantastic looking end result to really improve the overall look of your garden. We offer a great range of aluminium and wooden framed dwarf wall greenhouse options. We can source and supply the greenhouse and of course fit it to the very highest standard for you.